Reaction Bubble is inspired by the anthropological field of Proxemics, the study of the impact and significance of physical distances between people as they interact. These distances are described as conceptual bubbles. 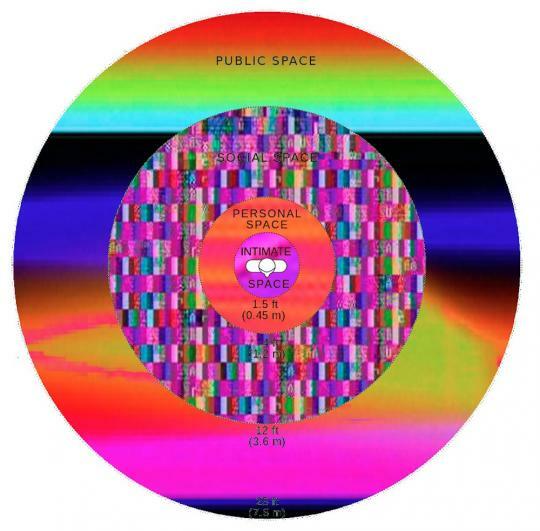 Each “bubble” is a different size and is appropriate for a specific type of interpersonal interaction: Public Space, Social Space, Personal Space, and Intimate Space. 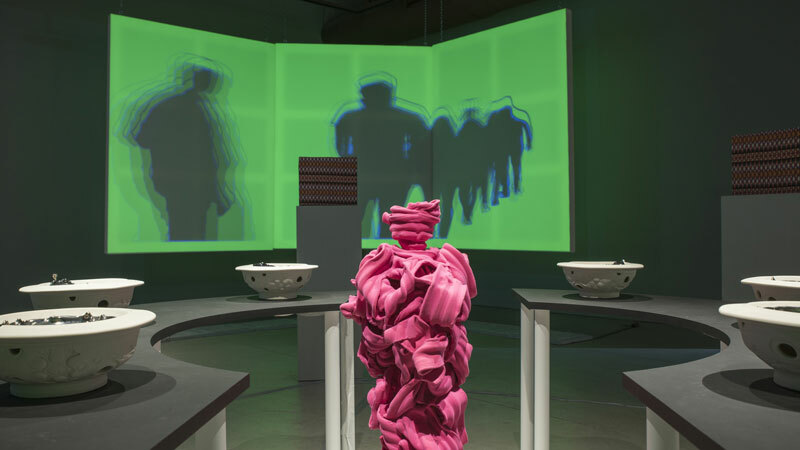 The exhibition employs ceramic sculptures, video, interactive technology and dance to explore the meaning of the interactions influenced by these physical distances. 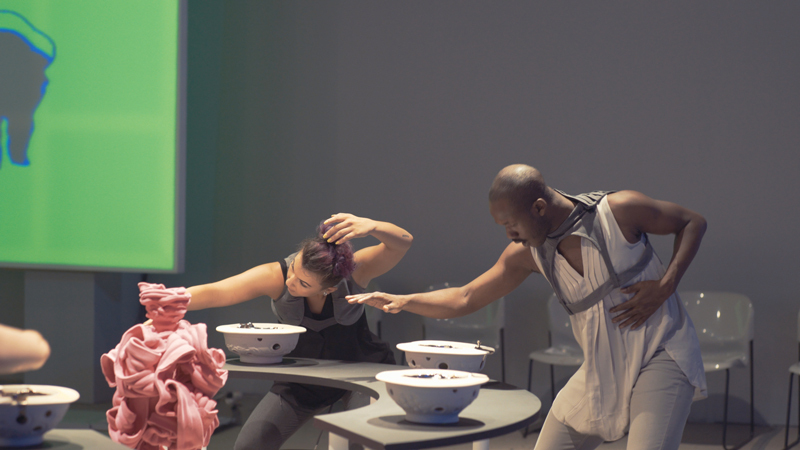 ReactionBubble was a four-year collaboration between LoVid, choreographer (Deborah Goffe), and ceramicist (Matt Towers). Real Art Ways introduced the artists to each other in 2012. 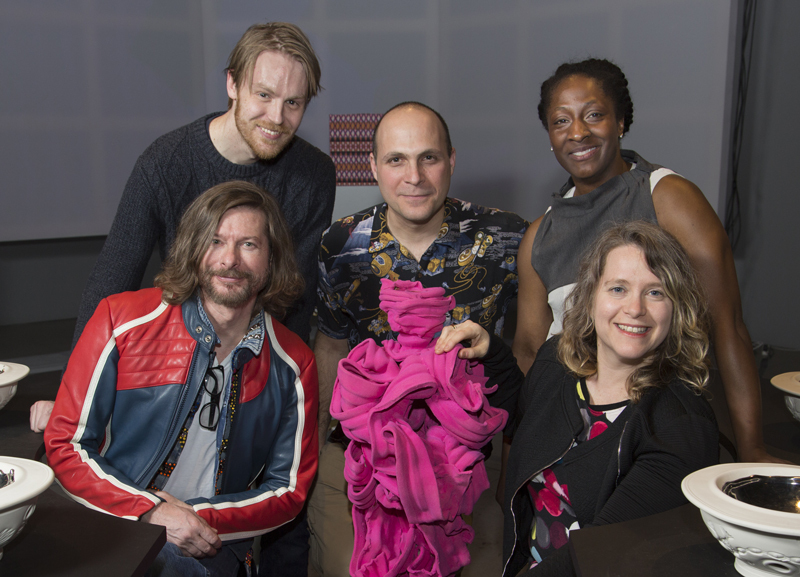 The project received major support from The Robert Rauschenberg Foundation. Important funders include the Edward C. and Ann T. Roberts Foundation, the J. Walton Bissell Foundation and the National Endowment for the Arts. The performance/installation was premiered at Real Art Ways in 2017. Throughout the development and process of creating Reaction Bubble, the artists drew inspiration from each other’s artistic fields. One area of interest is the intersection between handmade fine art and new technology. 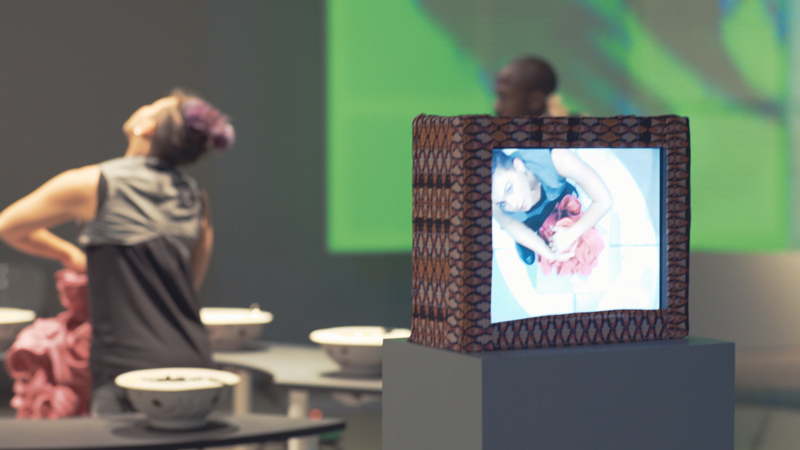 They examined relationships between human bodies and mediated spaces, from urban digital signage to personal smart devices. Reaction Bubble extended from the artists to audience involvement, forming an immersive installation and performance experience. 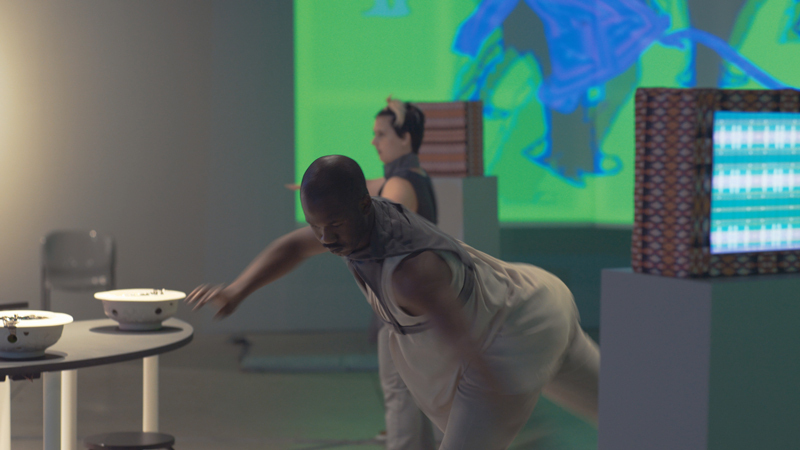 A collaboration between media artists LoVid, choreographer Deborah Goffe, and ceramicist Matthew Towers. 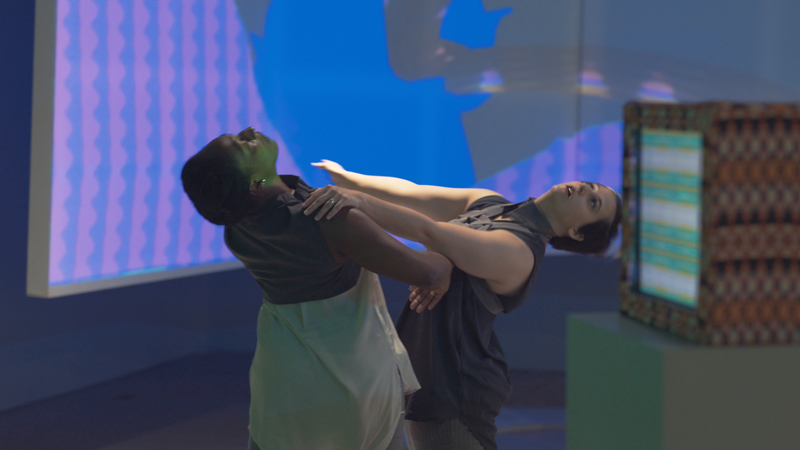 Dancers: Deborah Goffe, Safi Harriott, Rosanna Karabetsos, Kate Seethaler and Arien Wilkerson. Reaction Bubble received major support from The Robert Rauschenberg Foundation. Important funders include the Edward C. and Anne T. Roberts Foundation, the J. Walton Bissell Foundation and The National Endowment for the Arts.